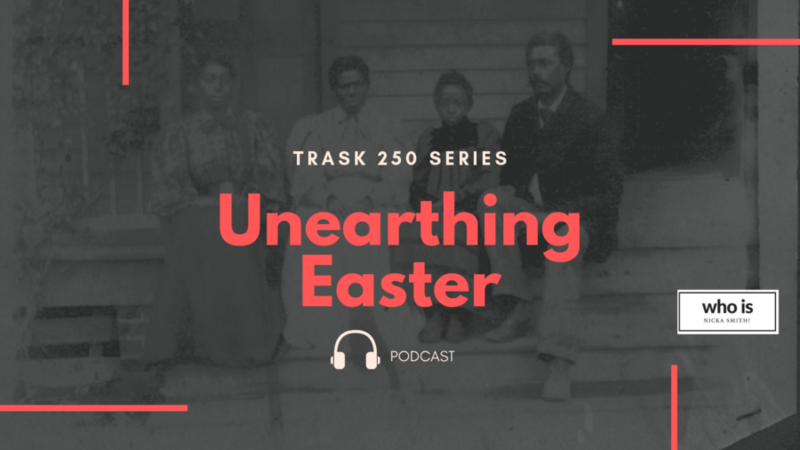 Episode 1: Unearthing Easter - who is nicka smith? 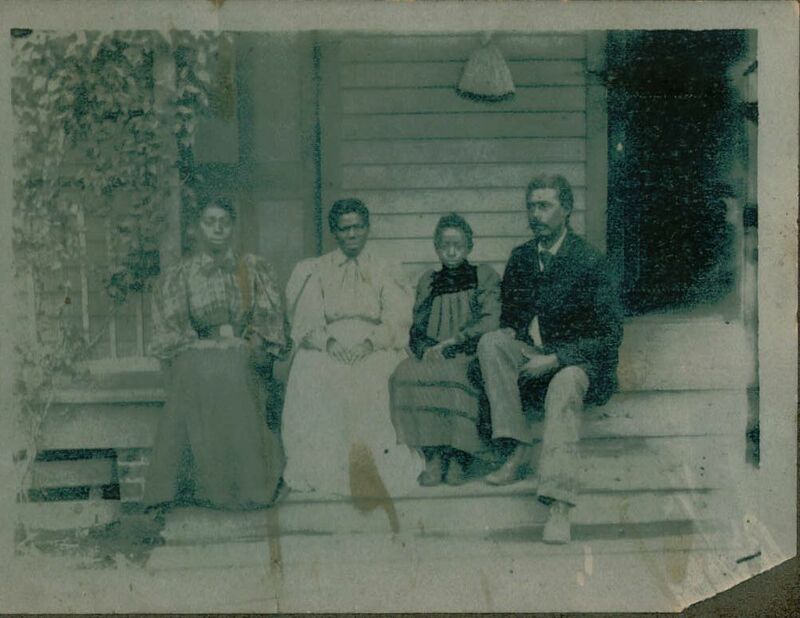 This podcast is part of the Trask 250 series which documents the lives of more than 250 formerly enslaved of the Trask and Ventress families of Louisiana and Mississippi. 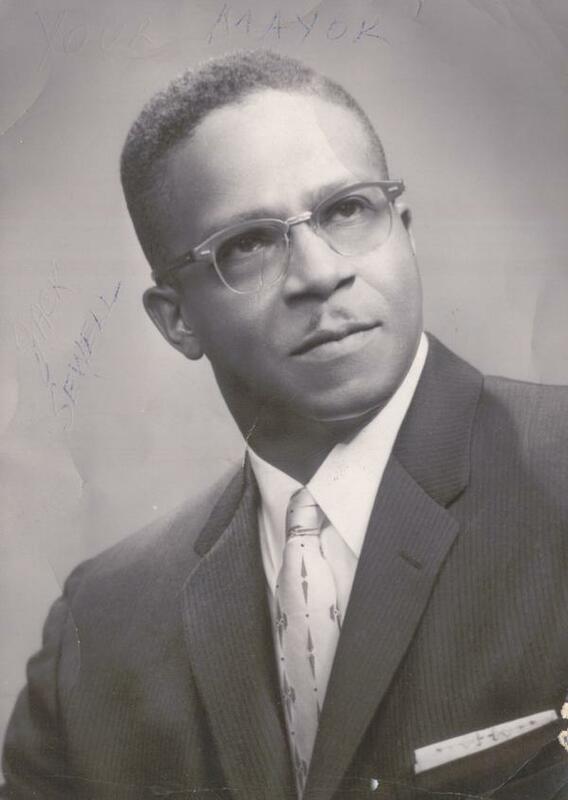 My father, Jackie Darwin Sewell, 1937-2001. He was a graduate of DuSable High School in Chicago, IL. In his store, Gail's Certified Market on the west side of Chicago. 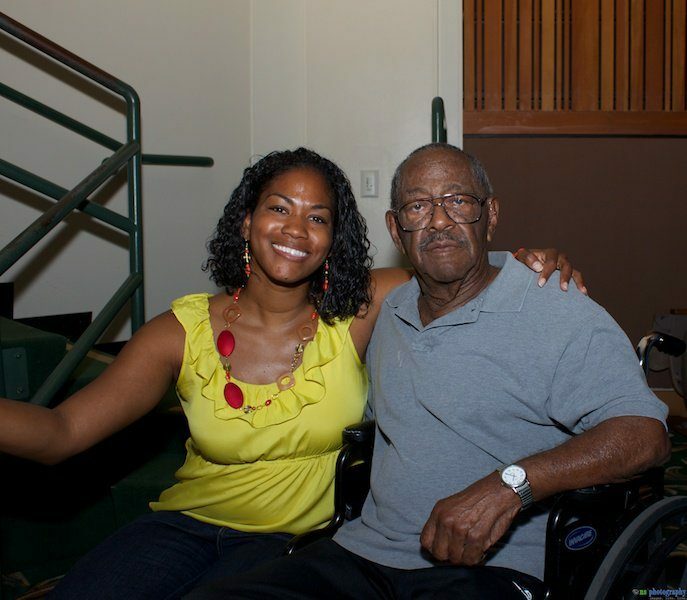 Me, and Cousin Morrie Turner during the opening reception for his art exhibit in Sacramento. September 2010. 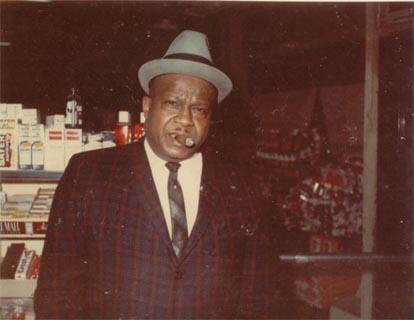 Jack Oscar Sewell, or ahem, Oswald Sewell, my paternal grandfather, son of Honey and Nannie. Theresa Holmes Sewell, my great grandmother, also known as Nannie. Wife of James Benjamin Sewell, Sr, also known as Honey. 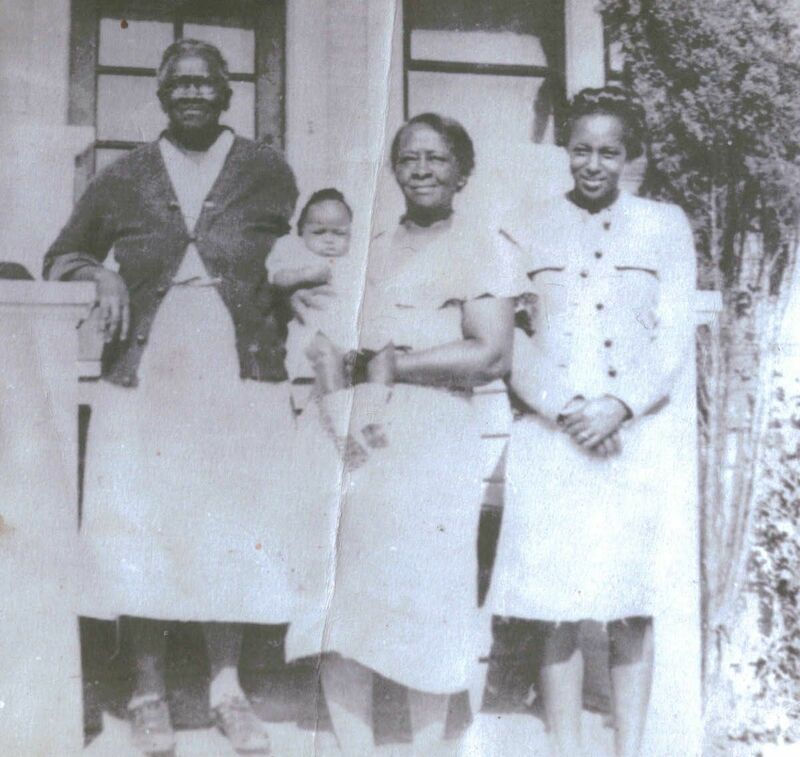 Easter, Aunt Elnora (holding a grandchild), and Elnora's daughter in law. Circa 1945, Berkeley, CA. My grandfather as Oswald Sewell, line 34. 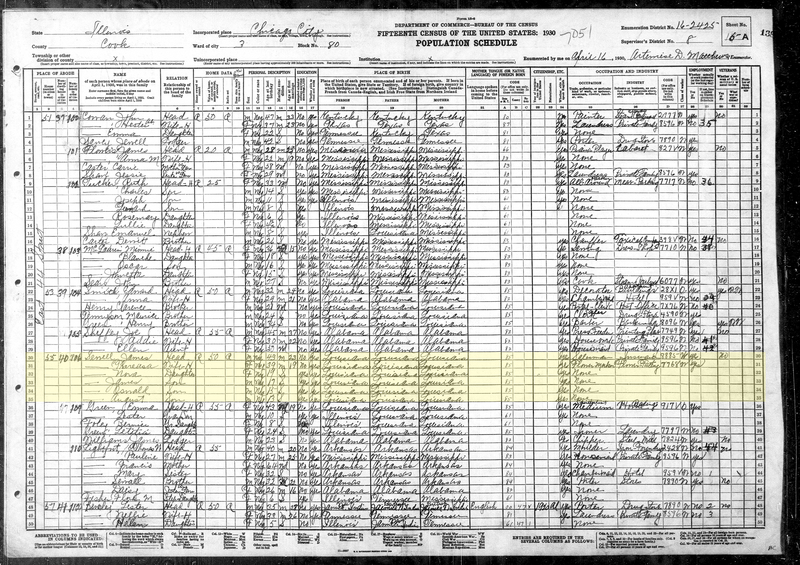 The family relocated from New Orleans to Chicago in 1925. Honey was working selling insurance for Metropolitan Funeral Home, Nannie was working at a flower factory. 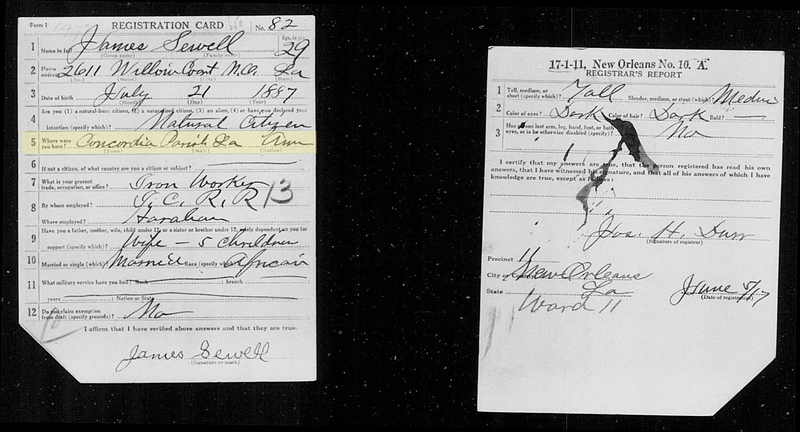 My grandfather as Oswald Sewell, line 6. 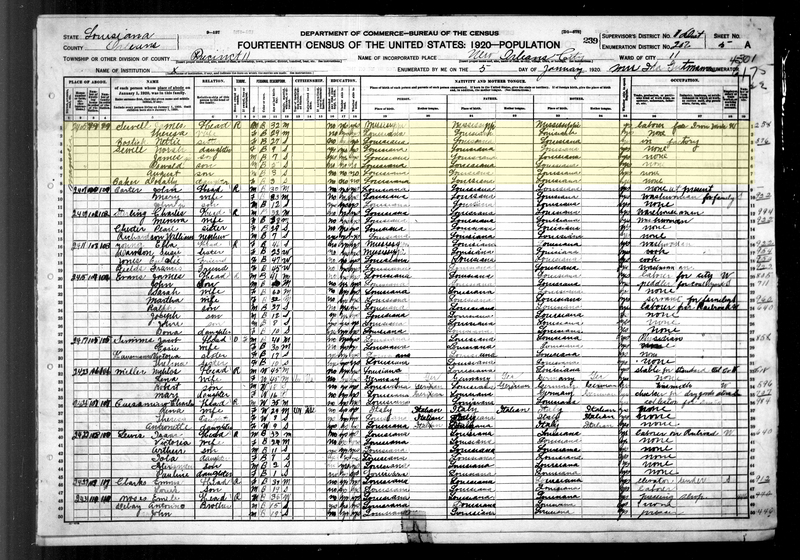 This is the first census my grandfather was enumerated on. Honey's WWWI Draft Card, At the time, the family was living in New Orleans, but his birth place here is noted as Concordia Parish, LA, more than 200 miles north. 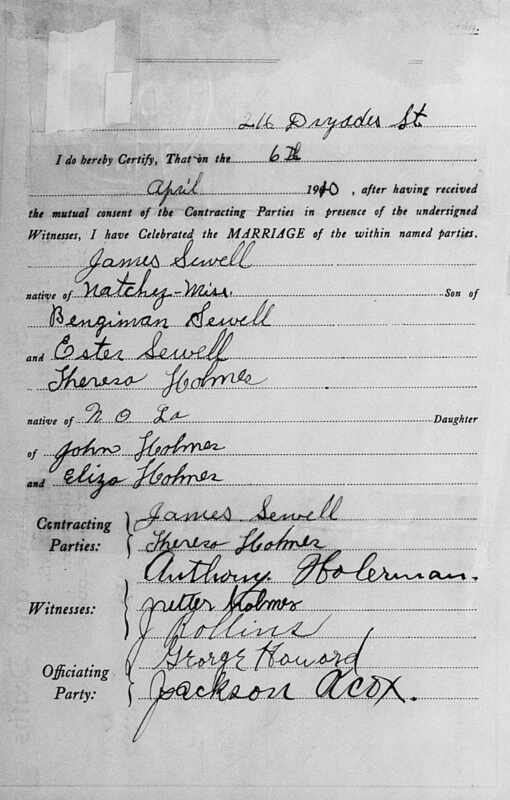 April 6, 1910 marriage of Honey and Nannie in New Orleans, LA. 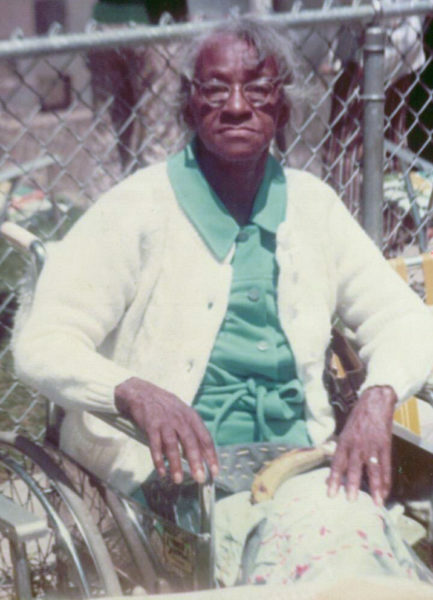 One of the witnesses, Nettie Holmes, was Nannie's sister. Death certificate for Aunt Elnora. 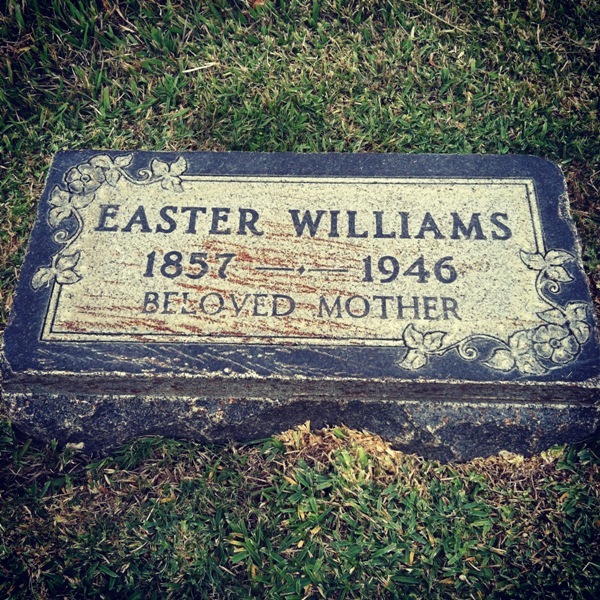 It notes her mother's name as Easter Williams, unknown birth place. 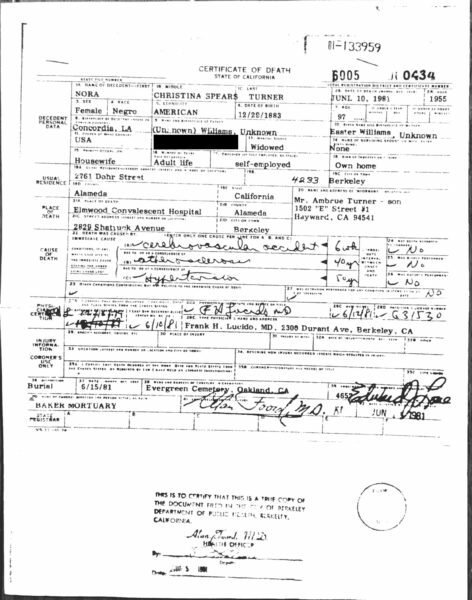 Source: Alameda County Clerk's Office, Oakland, CA. 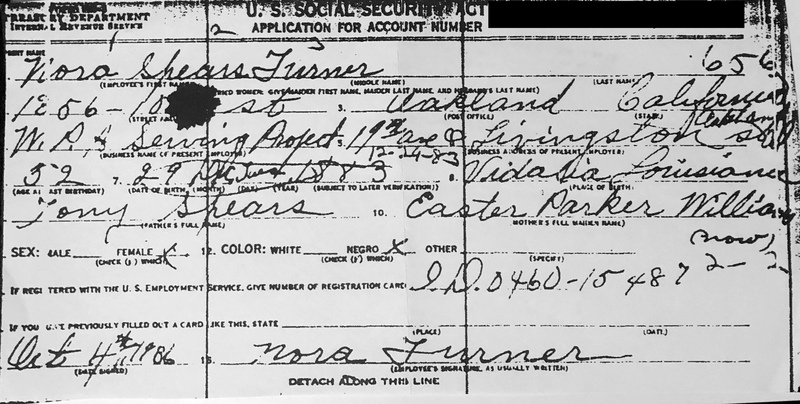 Social Security Application for Aunt Elnora. 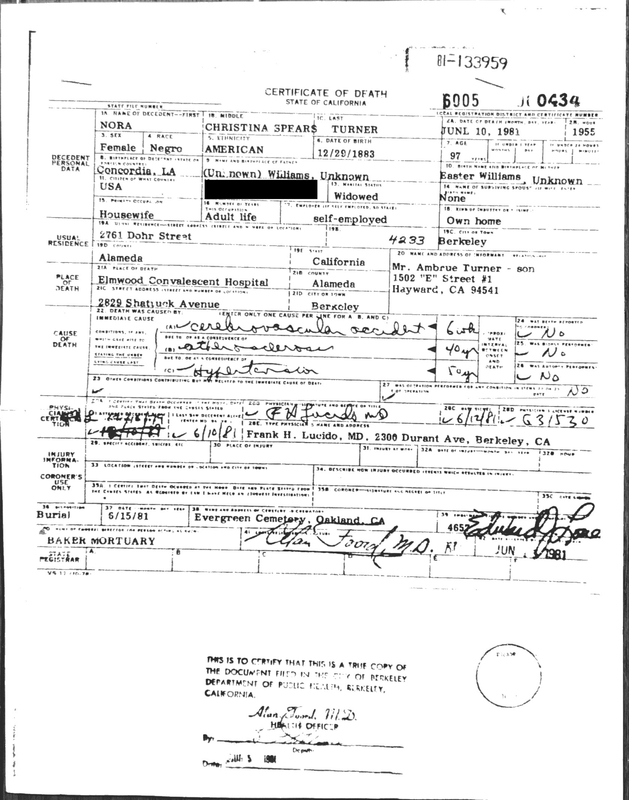 It notes her mother's name as Easter Parker Williams ("now"), and that her father was Tony (Anthony) Spears. 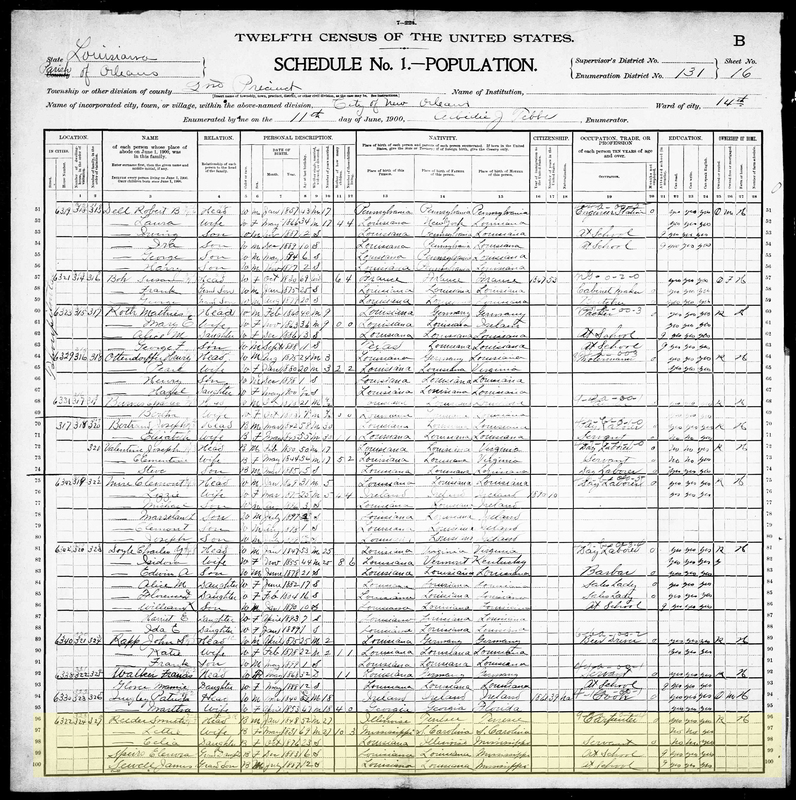 1880, still in Concordia Parish but listed with her mother Lettie under the last name Fountain but living right next door to Smith Reeder, her stepfather. 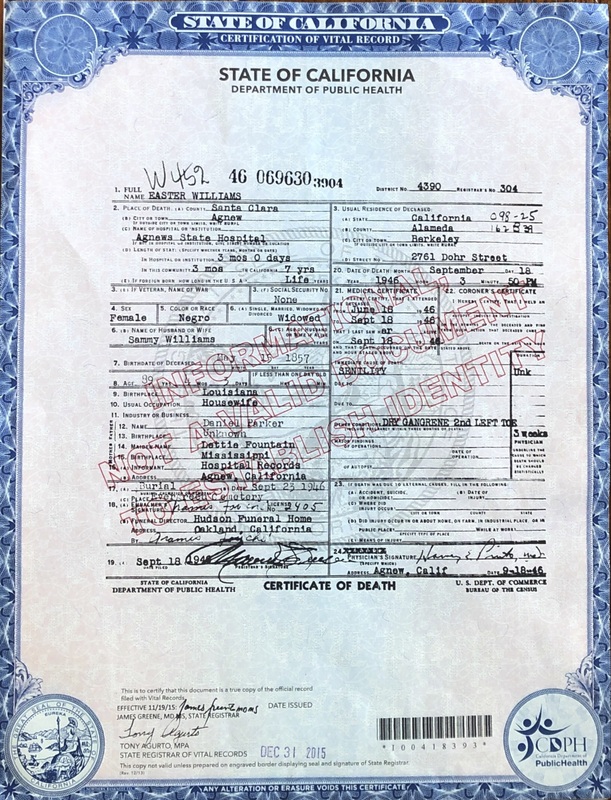 Death certificate of Easter Parker Williams, noting her mother was Lettie Fountain and father was Daniel Parker. She had been sent to Agnews State Hospital because her dementia was hard to manage by family. Source: State of California, Department of Public Health, Division of Vital Statistics. 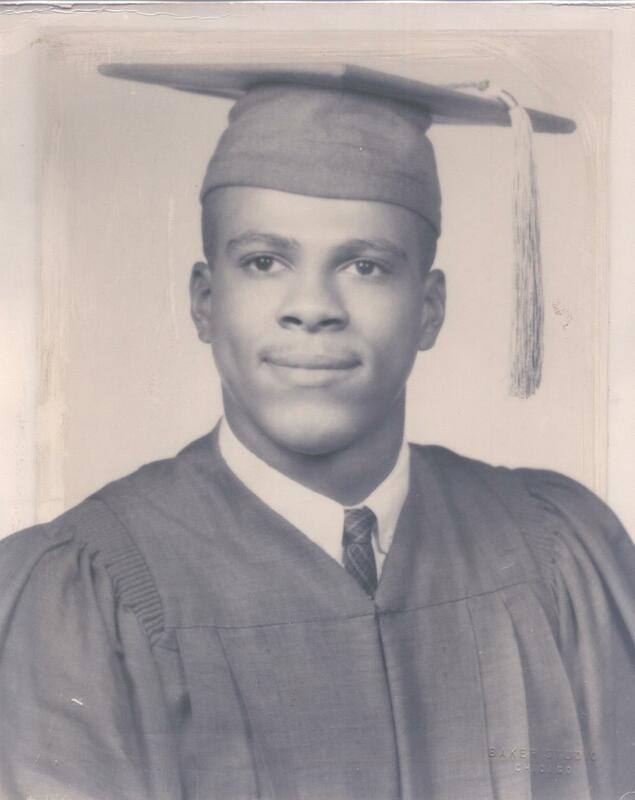 Thank you so much for sharing your family history—the pictures and documents are priceless. You have done so much to advance genealogical research especially for me and others whose families have been difficult to explore. Keep on keeping it real! Thanks for listening Ms. Joyce! Keep on keeping on. It will come one day! Don’t give up!